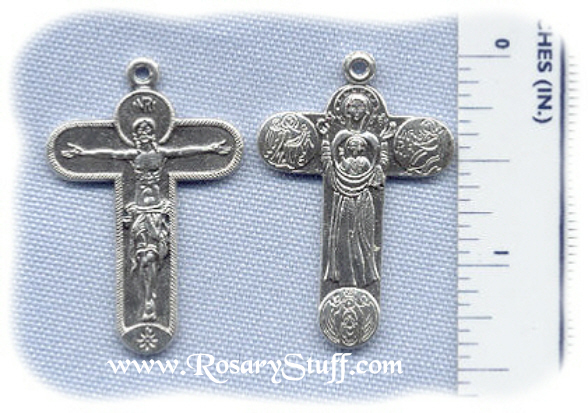 Italian oxidized silver plate Immaculate Symbols crucifix with scenes from the Blessed Virgin's life including the Annunciation (on the left), Maternity (center), the Pentecost (on the right), and The Assumption and Coronation (bottom). This is by far one of my most favorite crucifixes! Sized at slightly over 1 1/4 inches tall (without ring) and just under 1 inch wide. Celtic Crucifix (Large) ~SP~ 1 3/4 in.